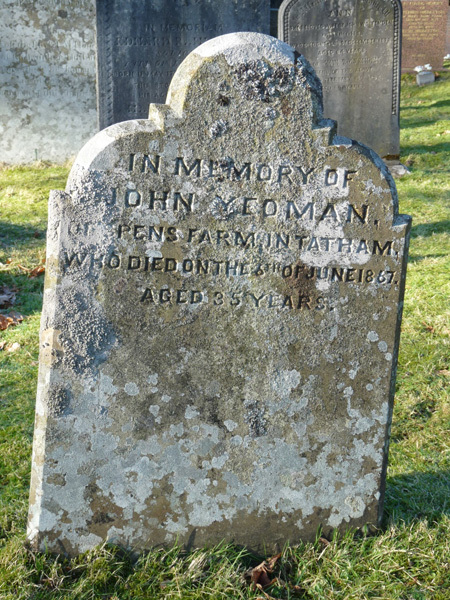 This simple headstone in the graveyard of the Church of the Good Shepherd to 35 year-old John Yeoman of Spens Farm who died on 6 June 1867 is a poignant reminder of a tragic event. John was not a local man. He had only moved into the parish the year before. The son of a farmer from Malham, like many farmers' sons he had entered farm service as a young man but, with limited opportunities to acquire their own farms, had then migrated in search of work. Liverpool was a popular attraction for such men. His uncles George and Thomas were respectively a successful cowkeeper and hemp dealer there. By 1861 John had joined them in the city and was described as a warehouseman, married to a Liverpool woman, Jane, and with two children, both born in Liverpool. Jane died in 1864 and John, now a widower, presumably had a hankering to return to farming. 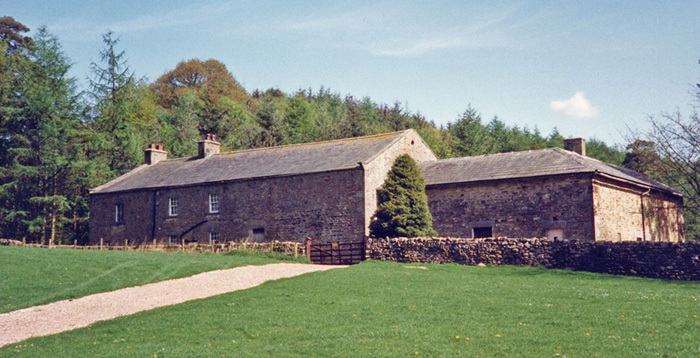 His uncle Thomas, who had married a Cheshire landowner's daughter, rented the 38 acre Spen Gill farm (usually referred to simply as Spens) and its gaming rights in 1865 and the following year he installed his nephew John as the farmer there. Whether John brought his children with him is not clear. On 6 June 1867 his uncle's gamekeeper, Thomas Spence from Spens Lodge, had called on the farm and John had asked if he could borrow his gun to shoot a rabbit in a neighbouring field. Thomas did not accompany him but went into the house. A few minutes later he heard a gun but after waiting some little time he became concerned that John had not returned and went to look for him. He found him lying on the ground with his head blown to pieces and the gun underneath his body. The coroner's enquiry two days later in Wray concluded that it was a tragic accident. It was surmised that he had been in a crouching position and that the lock of the gun had caught his clothing as he dragged it forward to shoot. He had been shot under the chin so that was no way he could have reached the trigger. There seemed to be no other explanation, although local tradition is that it could possibly have been a suicide which, as well as being tragic, would, of course, have been a crime at the time. John's children by 1871 were being cared for by uncle Thomas's family, then in Levenshulme, Manchester.